Pasta can seem heavy but if you choose the right one and combine it with a light, fresh sauce and seafood pairing, it is a perfect lunch or light dinner option. This dish uses fresh, seasonal vegetables you can grab from the market. I've selected tomatoes, zucchini and asparagus (it's June and they are in season!). You can also use cremini mushrooms, peppers and eggplant - just make sure you use the tomatoes if you want a saucy pasta. 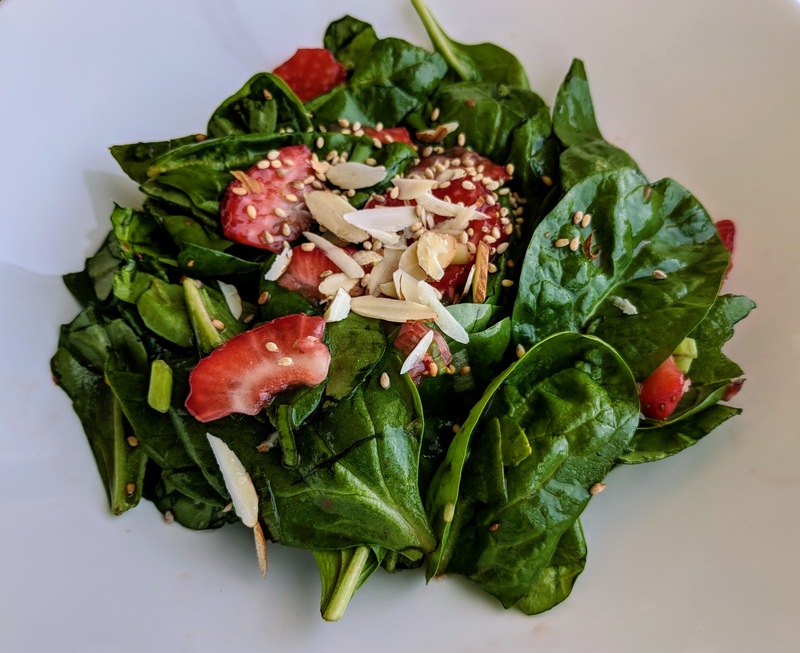 Topped with a tasty protein -it makes for a healthy and delicate meal. 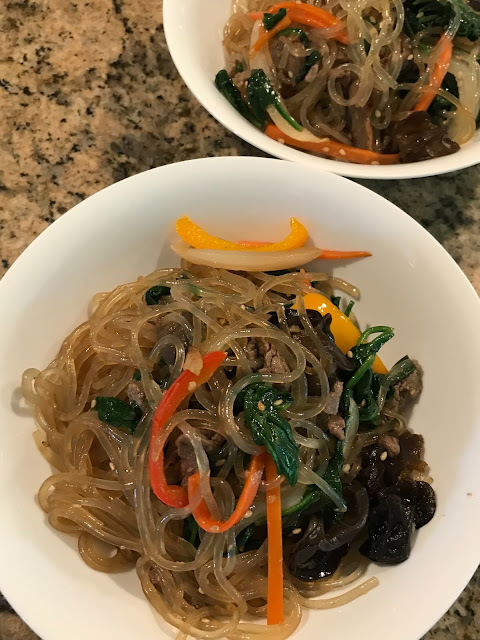 I use spaghettini for this reason and serve less pasta and more the veggies. 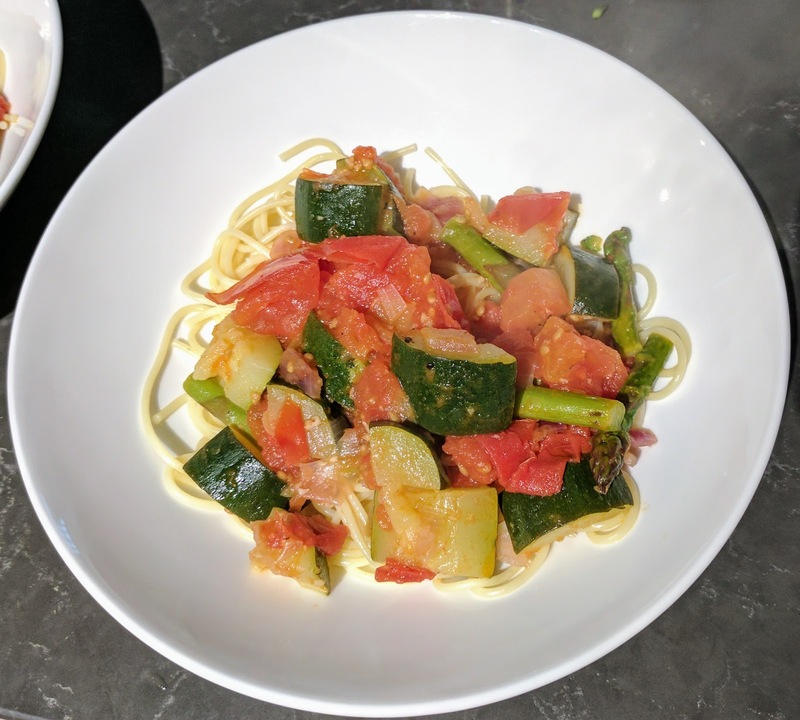 Cook the spaghettini to al dente and set aside. In a large fry pan over medium heat, heat the oil. Add the garlic and onions and cook for 5-6 min until onions soften. 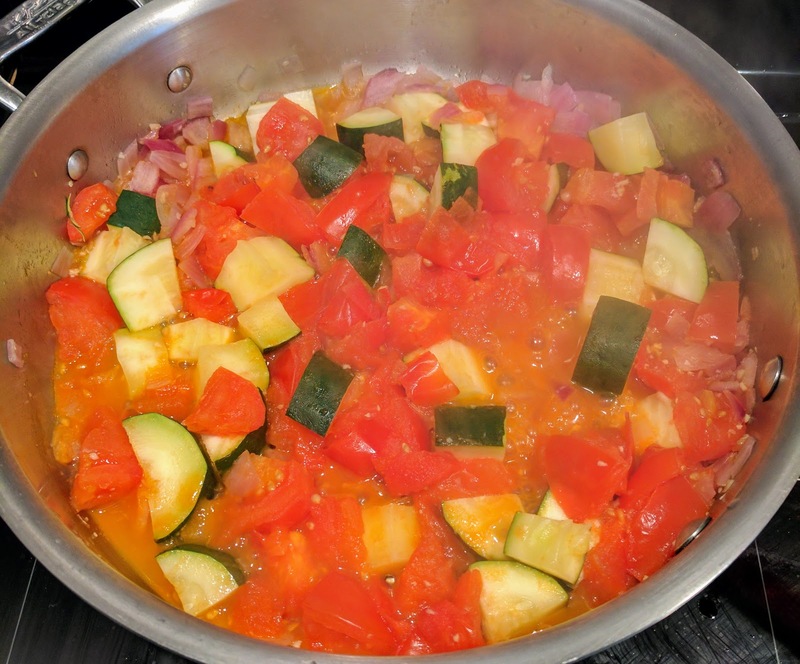 Add the tomatoes, zucchini, asparagus, a dash of salt and pepper and let it simmer on medium-low heat for 15 min. 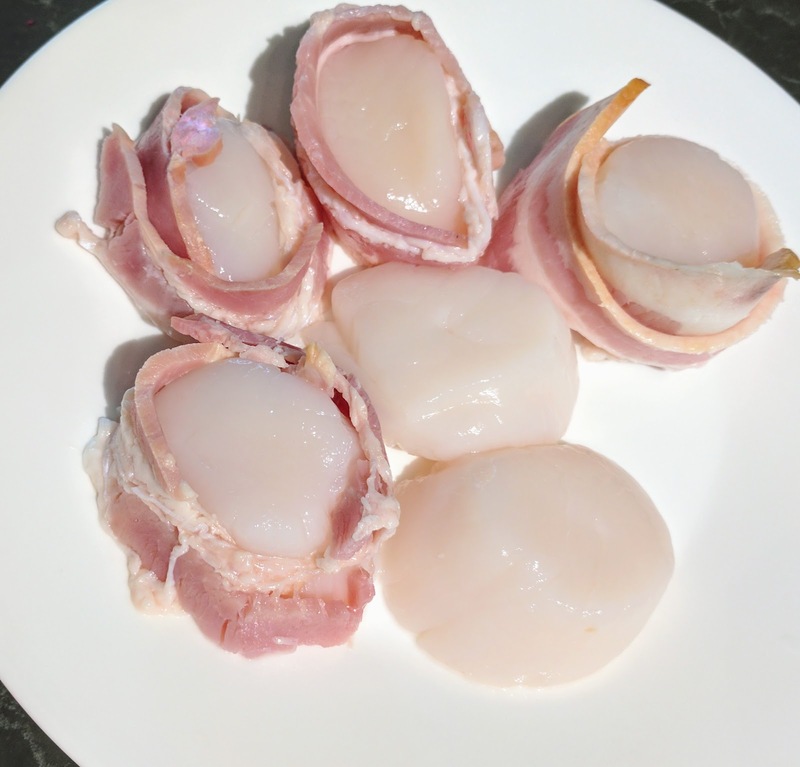 In the meantime, wrap each scallop with the half strip of bacon and place a toothpick through the whole thing to keep from falling apart. 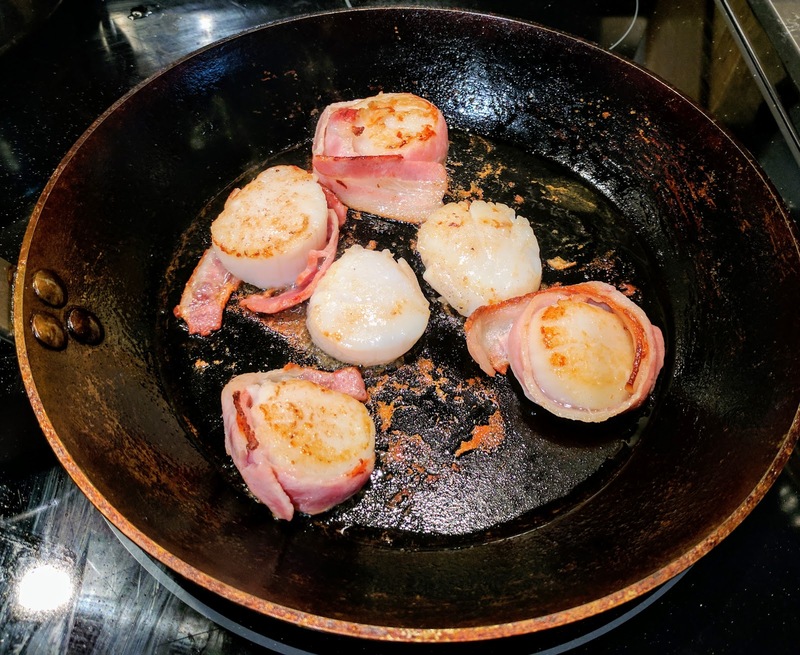 Use a cast iron pan to fry them for 8-9 min over medium-high heat until the scallop and bacon is fully cooked. Check on the vegetables, by now the tomatoes would have softened and produced a nice red, runny sauce. Turn heat off and place the vegetables and sauce over the cooked pasta for an individual serving. Place two scallops over top, sprinkle with fresh ground pepper and serve.